The Scarecrows and Soldiers weekend captured the imagination of the people of Westerham. Photographers recorded almost 100 scarecrows around the town. The task for the judges was difficult, with so much creativity and effort being put into making scarecrows of all types. Catherine Churchill spoke for all the judges when she said ‘I thoroughly enjoyed myself – it was wonderful to see how much effort everyone had made’. Tough competition saw excellent scarecrows – even the superb Shrek and Marilyn missed out on prizes. 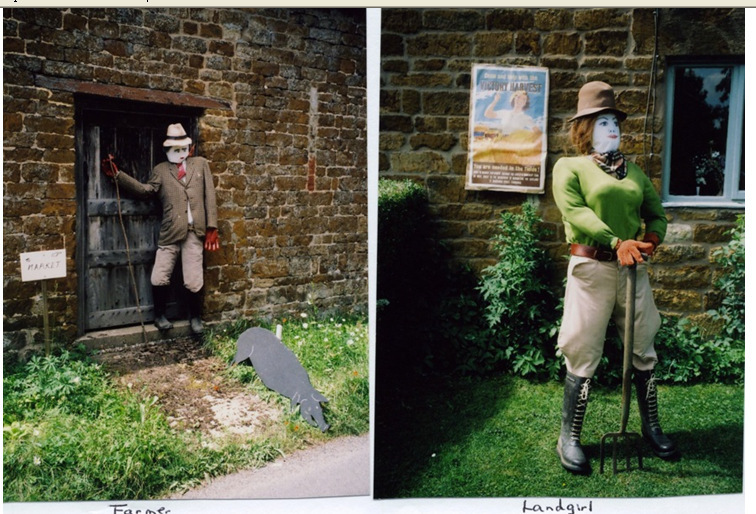 Fortunately the odd damaged scarecrow didn’t stop the judges – they had seen the damaged ones before the vandalism happened! The scarecrow police are still searching for the kidnapped scarecrow from the bottom of Goodley Stock Road. The creativity was amazing, with cats being rescued from poles, best not to mention what was happening on the other pole, Mohican Indians, Westerham man, the invisible man, Ghost Busters, Darth Vader, James Bond and killer barbers all playing their part. The winning entry was the Churchill School ensemble that is still on display in Chelsea House. The regulars of the General Wolfe came a close second with their shipwreck on, or rather in, the Long Pond. The residents of Wells Place came a very creditable third, with the sounds of the sea bringing alive their Pirate of the Caribbean. The Smith family’s ‘Mr Smith’ in the bus stop that has confused so many bus drivers and ambulance men in the past week was very highly commended by the judges. Scoring was out of 150; over 20 entries scored 130 or more – a huge effort from everyone and great fun for all. Many rose to the challenge of walking the ‘Big Trail’, but only four people guessed correctly all 16 film titles, the Boyles ‘Dracula’ fooling many people into thinking of ‘Twilight’. The re-enactors of New France Old England brought the crowds to Squerryes Court again. Over the two days more than 1000 people saw their show. Afterwards Paul Margott, their events officer, was buzzing with enthusiasm. ‘I’ve never known so many people to come into the camp after a battle and ask questions’, he said. ‘Visitors here seem so much more interested than in some of the other places we go’. In anticipation many of the re-enactors had bought extra 18 Century camp equipment with them and their extra effort was repaid with the interest of the people of Westerham. The list of people to thank for organising the event is long and apologies to anyone who isn’t mentioned here, but special mention must be made to: the Warde family for allowing us to use Wolfe Park, the National Trust for sponsoring the event, Charts Edge garden for agreeing free admission for the trail, Westerham Town Council for sponsoring us and letting us take over large parts of the town, James Turner and Hidden Britain for the marvellous publicity; the teams who arranged the fair on the Green and the Barn dance, Richard for his excellent commentary at the fair, the judging panel and Lord Astor for presenting the prizes, but most of all the people of Westerham for taking part so enthusiastically – THANK YOU! Was the event a success? Well, we’ve raised over £2,100 for St Mary’s Heritage Trust, but perhaps it’s best left to the people of Westerham to decide. If the smiles and community spirit at the fair on Sunday aren’t answer enough perhaps the demands that we do a similar event next year give us a clue. Fri 2nd Sept 7.30 for 8pm , Westerham Hall. 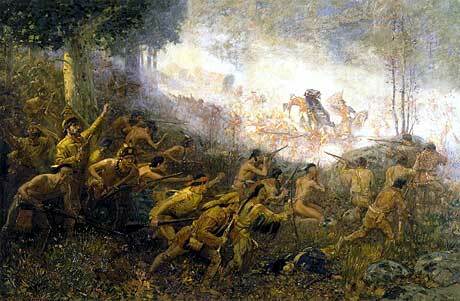 In 1757, the British and French are battling for control of North America in the final French and Indian War, part of the global Seven Years’ War. This epic film stars Daniel Day-Lewis as the Frontiersman ‘Hawkeye’ and recreates Fennimore Cooper’s classic and thrilling story of ferocious border warfare in the untamed American woodlands. Reality and fictional romance are skilfully interwoven at a point when the French General Montcalm retains the initiative with his Native American allies, leading to the fall of valiantly defended Fort William Henry under Lt Colonel Munro of the 35th. With much faithful detail of 18th century life, the film provides an excellent introduction to the military re-enactments of the Soldiers and Scarecrows Weekend. A unique look at the role of the Royal Air Force “Yesterday & Today”. Join the Central Band of the RAF for this flight through time as we celebrate the history of the RAF and take a close look at the people, equipment and role of today’s RAF. 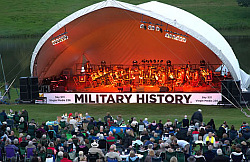 This twilight concert will bring alive some of the RAF’s greatest moments through music, archive film, narration, special effects and aircraft displays. Men and women of today’s RAF will join us in a celebration of their current service culminating in an uplifting, patriotic finale. Rediscover delicious fish, bread, cheese, eggs, nuts, fruit and vegetables from local suppliers and meet your friends in town. 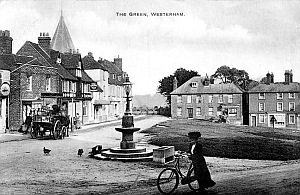 A documentary on the history of Westerham and 20th century events in Westerham. Footage of Westerham Railway, Gala Days, 1974 Churchill Festival with a light-hearted commentary from Richard Woolnough. Meet at Churchill statue on The Green. The walk will look at the Saxon centre of Westerham, concentrating on the area between St. Mary’s Church and The Grange, but taking in Lodge Lane too. There is rich history in this small area! The walk will last around 2 hours and costs £5 a head -the funds will go to charity. Please book in advance via the Westerham Society by sending a cheque for £5 per person payable to The Westerham Society, The Old Barn, Dunsdale, Westerham, TN16 1QL. Call 01959 561265 for details. 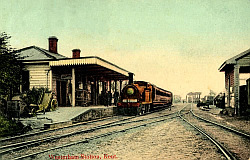 (The photo of the Green was taken in 1912, just a hundred years ago). 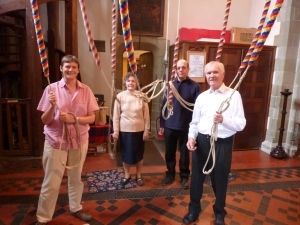 The bell-ringers from Westerham and other local towers invite you to come and talk and listen and would be pleased to meet any local residents who might like to learn. The Westerham tower has 8 bells, the tenor weighing 24cwt and the riging chamber is unusual, being on the ground floor. Wed 7th, 8pm – Westerham Hall. “Velasquez – not just a Court painter”, an illustrated lecture by Josiane Everard. Velasquez was a Spanish painter (1599-1660)who was artist in the court of King Philip IV. 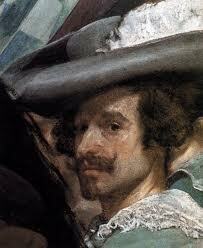 In the nineteenth century, Velasquez’s work was a model for impressionist painters, like Manet. More modern artists, including Pablo Picasso and Salvador Dalí, as well as Francis Bacon, have paid tribute to Velázquez by recreating several of his most famous works. Josiane Everade was awarded an MA in Art History in 2006. She studied Drama at RADA, and has a BA Hons in French and is married to a retired British Diplomat. Westerham Hall, Quebec Av. Bar opens at 7.30pm – talk begins at 8pm. Tickets at the door. Visit the brewery on Grange Farm just south of Crockham Hill. 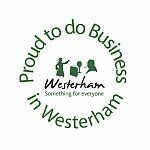 Come and see and smell and taste Westerham Brewery’s wide range of fine traditional beers and some unexpected delights. 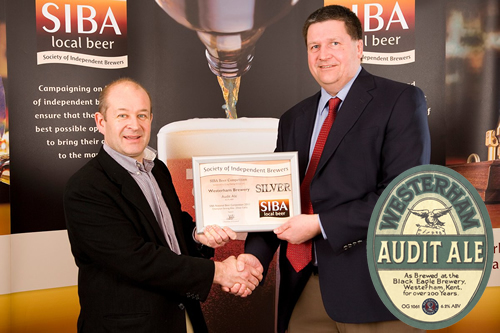 Your host for the evening will be Robert Wicks, owner and head brewer. 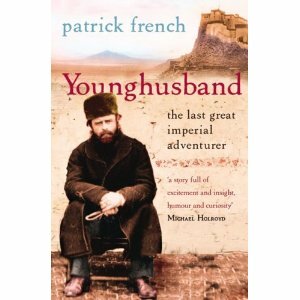 Come and listen to the distinguished writer Patrick French talk about the life of one of Westerham’s most colourful residents, Sir Francis Younghusband, the “last great imperial adventurer”. Admission by programme ticket: (Adult £3, Accompanied children under 16 free). Trail includes entry to the gardens at Chartwell, Chart Edge, Quebec House and Squerryes Court – its usually £19.60 just to visit these gardens! Discover life for 18c century soldiers, their wives and families at the New France Old England living history camp in Wolfe Park at Squerryes Court. Open 11-5. 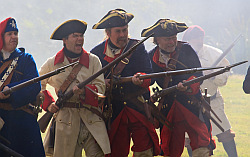 See the re-enactors recreate a battle from the Seven Years War in Wolfe Park 3.30pm. Admission included in trail ticket price, just £3, plenty of car parking available in Wolfe Park just £2. 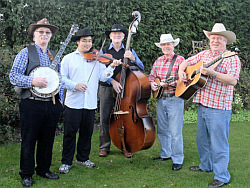 Continue the Scarecrow theme with a Barn Dance with The Biggin Hillbillies – a 5 piece bluegrass band with a caller. Hog Roast and real ales. £15, over 18s only, tickets on sale throughout Westerham. 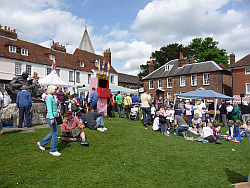 A country fair with all sorts of stalls, music and amusement. Join us for a family celebration in the heart of Westerham. Punch and Judy, home made cakes, model tanks, bouncy castle and roundabout, face painter, Orpington Town Band, Jane Alderson Children’s Dance workshop, 18c re-enactors, all the fun of a traditional local fair.